Did You Buy Shakespeare’s Tea Caddy? 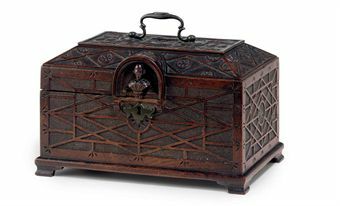 Recently, Christie’s auctioned a tea caddy that was believed to be made from a mulberry tree that William Shakespeare allegedly planted himself. The caddy was recently sold for $20,625. The caddy was believed to be made by woodworker George Cooper in 1759. Tea caddy believed to be made from a tree planted by Shakespeare himself.